Kenya Camping Safaris, Budget Group Short Safaris. Browse exciting YHA Kenya Travel Tours And Safaris, Kenya Camping Safaris, Kenya Short Safaris, Kenya Camping Adventure Budget Holiday Packages,Best Prices. Guide To Climbing Mount Kenya In Kenya. Kenya offers a wide choice of reliably excellent budget walking safaris. Leisurely strolls or move challenging treks in Kenya. Government strict rules have guaranteed consistently high standards of walking safaris in Kenya. The great rich wildlife and high quality tented camps run by experienced and local bush enthusiasts make Kenya walking safaris among the best adventure activity in the region making Kenya budget safaris a taste for many travelers. - Climbing mount Kenya Adventure Activities. Mt. Kenya is a dome-shaped central volcano. It is the largest mountain in Kenya. Ten glaciers cover the volcano’s peaks. The original crater on Mt. Kenya was over 20,000 ft. (6100 m) high but has been heavily eroded. Most of this erosion occurred during two periods when glaciers carved much of the top of the volcano. These periods wore down the ring-like plug forming the top of Mt Kenya. In fact, almost 35% of the volcano has been worn away. Climbing Mount Kenya is a spectacular walk up the beautiful Sirimon valley away from the main tourist route on Climbing Mount Kenya. The trek passes through a diverse range of vegetation and climate zones, from dense forest to tropical cactus plants to snow covered peaks within a relatively short distance. No technical climbing mount Kenya is necessary to reach Point Lenana, the "walking summit" at 16,400 ft. Descending to the base we will relax in a lodge before returning to Nairobi. Let us make all the arrangements for you to go on a hilarious amazing site seeing budget trekking expedition. Legendary Story About Mount Kenya. Batian and Nelion in the background cropped. Several ethnic groups that live around Mount Kenya believe the mountain is sacred. They used to build their houses facing the mountain, with the doors on the side nearest to it. The Gĩkũyũ people live on the southern and western sides of the mountain. They are agriculturalists and make use of the highly fertile volcanic soil on the lower slopes. The Gĩkũyũ people believe that God, ''Ngai'' or ''Mwene Nyaga'', lived on Mount Kenya when he came down from the sky. They believe that the mountain is Ngai's throne on earth. It is the place where Gĩkũyũ, the father of the tribe, used to meet with God. Thus according to the Kikuyu records, Gĩkũyũ is the first person on Earth to ascend the mountain. 'Mwene Nyaga' in Gikuyu language can also translate as the "Owner of Snow" where 'Mwene' translates to 'owner', and 'Nyaga' to snow. 'Nyaga' can also translate to 'Ostrich'. Kikuyus used to build their houses with the doors facing the mountain. The Gĩkũyũ name for Mount Kenya is ''Kĩrĩ Nyaga'' (Kirinyaga), which literally translates to 'God's Resting Place' or 'Where God Lives' in this case referring to Mwene Nyaga. A Practical Guide to Climbing Mount Kenya,Mount Kenya Trekking, Hiking Mount Kenya, Mount Kenya Trekking Routes, Climbing Kenya Mountain, Mountain Adventures, Small Group Adventures, Mount Kenya Expeditions, Mount Kenya Safaris. How to organize a great Kenya Safari, adventure trekking, climbing and hiking holiday expedition to Mount Kenya. Best Advice From Experts on Mount Kenya Climbing, adventure travel safaris, budget holidays, Routes, Saftey Measures, Weather & Climbing Gear-What to Taking, Getting to Mount Kenya, Guides, Cooks & Porters Mountain Safari Tours Packages. Trekking, Hiking, Climbing and Walking Adventures Kenya Safaris With YHA Travel Kenya Tours and Safaris on Mount Kenya Climbing Expeditions. This adventure guide to Mount Kenya climbing is intended as a useful resource for any adventure low budget trekker, hiker or climber planning to climb Mountain Kenya. For those looking to book an organized budget adventure mount Kenya climbing expedition/ trek with experienced guides along with porters. Our full support and private transport from Nairobi where need be. YHA-Kenya Travel Tours and Safaris is offering you the expert advice on when to climb mount Kenya, where to start, what you need to pack for the adventure hike, the best mount Kenya climbing scenic routes and recommended packages also best pricing! We can arrange a climbing mount Kenya expedition/treks along all the possible routes as you please. Guide to Climbing Mount Kenya Expeditions. Explore and climb Mount Kenya with the expert guide service YHA-Kenya Travel Tours and Safaris in Kenya on your Mountain adventure hiking expeditions budget safari holiday while in Kenya.Our budget adventure climbing, camping safari packages are well planned and thought to fit your budget, activities are very exciting and innovative we ensure that after climbing mount Kenya you will have a real impact on your life memories. When Summer is here it's time to plan for an adventure holiday! Maybe an escape to the beautiful places in Kenya like Mount Kenya Climbing, The Masai Mara Game reserve, and the Great Lakes in Rift Valley or even to the beautiful Kenyan beaches? Whatever your desired adventure destination, our expert team of tour advisors would love to book it or custom craft an itinerary for you!We love receiving 'Likes' and Feedback on our Facebook page. Take a look and tell us what you think! Think about traveling to Kenya or Tanzania and ask yourself this simple question-- If not now, then when? Get some inspiration and travel. These adventure Mountain climbing expedition trips are designed so well to suit all types of adventure travel budgets and mode of travel be it Solo, families, independent travelers, groups, small group adventures and travelers of all ages and size. Please choose any of our budget adventure climbing mount Kenya itineraries provided on this site that best suits your interest in any of our adventure budget expedition hiking tour of Mount Kenya. We hope that you will enjoy traveling in and around Kenya’s most scenic places like Mountain Kenya to enable you to enjoy, take awesome photos and save on great budget safari travel holiday deals that we offer. Mount Kenya is Africa’s second highest mountain after Kilimanjaro. This extinct volcano is estimated to be 2.5 million years old. Time has taken its toll on the former, reducing the peak from 6500m to 5199 m today, while nature’s untiring eroding agents long ago eroded the crater. Mount Kenya is located about 200km north of Nairobi within the Mount Kenya National park. Mount Kenya Trekking, Climbing Mount Kenya, Hiking Mount Kenya, Mount Kenya Trekking Route, Climbing Kenya Mountain & Mount Kenya Expeditions. It is very easy to get to Mount Kenya for an adventure hike activity by road in various travel options namely public transport from Nairobi or other towns using mini buses, privately hired vehicle, Taxi or private means. These options will lead you to towns and trekking routes close to the mountain and mostly on dirt roads. The route town options are Nanyuki town for the Sirimon route, Naro Moru town for Narumoru route and Chogoria town in Meru for Chogoria route. The park protected an area of 3200m above sea level was established in 1949 and covers an area of 715 sq. km. The mountain comprises three main zones: - the rocky peak zone, the afro-alpine moorland with its scattering of giant vegetation and the extensive tower slope covered with mountain forest and a bamboo there are over 81plant species. Any fit and a prepared person can reach point Lenana, the so-called trekker’s peak; the summit has the twin peaks of 5199m Batian and Nelion and is considered more technically challenging than the higher Mt Kilimanjaro at 5894m. Mount Kenya, at an altitude of 5199 [17058ft] is the country's highest mountain, has its higher slope permanently covered in snow and ice, even though it sits astride the equator. The National park comprises the mountain above the 320m [10,500ft] contour plus two salient astride the Naro Moru and the Sirimon routes. The mountain consists of three peaks the Batian [the highest] Nelion and Lenana. Of these peaks, the original hard center core is all that remains; the bulk of the volcano has been eroded away with time. Highlights of Climbing Mount Kenya Adventure Tour. Guide to climbing Mount Kenya Adventures. Summer is here it's time to plan an adventure holiday! Maybe an escape to the beautiful places in Kenya like Mount Kenya, The Masai Mara, and the Great Rift Valley or even to the beautiful Kenya beaches? Whatever your desired destination, our expert team of tour advisors would love to book it for you! We love receiving 'Likes' and Feedback on our Facebook page. Take a look and tell us what you think! Fitness, Altitude, and Safety on Climbing Mount Kenya. Climbing Mount Kenya is very accessible and therein lies the problem. With a decent level of fitness, it is easy to gain altitude quickly and find yourself the on the night before summiting with a throbbing headache and all the symptoms of acute mountain sickness. Trekking with a good experienced guide, taking a sensible easy pace and keeping hydrated makes all the difference. The best approach is always to allow extra time for your ascent, an extra day at Shipton’s Camp takes all the pressure of the itinerary and gives you time to enjoy the fabulous trekking around the peak. Generally speaking, it isn’t necessary to undergo a grueling fitness regime prior to attempting Mount Kenya, anyone who is trek fit and is comfortable walking 6-8 hour days should be fine. Climbing Mount Kenya Guides, Porters, and Cooks. The trekking crew will usually consist of a guide, cook, porter for the cooking gear plus a personal porter per trekker. It has been said before, but a good experienced guide is so important on Mount Kenya, for two reasons; (1) they will regulate your pace, be able to draw on their experience to diagnose altitude sickness symptoms and have the confidence to make critical decisions and (2) their knowledge of the wildlife and fauna on the mountain will bring the environment alive. All guides and porters must be registered with Kenya Wildlife Services and hold a mountain guide park from Mt Kenya National Park. It is fair to say that all the guides will have a good knowledge of the routes, but only the good guides will have wildlife knowledge and experience of dealing with altitude sickness problems. Climbing Mount Kenya, Mt Kenya Trekking Routes, Mount Kenya Route Options. There are 5 main Climbing Mount Kenya Routes to the Peak. Sirimon route is the most popular ascent as the altitude gain is nice and steady and it offers one of the most beautiful approaches to the peaks. Allow a minimum of 2 nights to peak when ascending, although we recommend spending an extra night at the last camp (Shipton’s) on the way up. If you want to avoid the crowds then Burguret is the best route. You’ll be hacking through the pristine rainforest on this little-used route, overnighting at wilderness campsites. Going up this route is challenging, it is little more than a game track in places, often muddy and rough under foot. Burguret is usually combined with a Chogoria or Sirimon route descent. Allow a minimum of 3 nights before peak when ascending. Naro-Moru is the most popular descent route, fast and easy (at least on the way down!). Naro Moru passes through the notorious vertical bog section which gets much waterlogged in the rainy seasons. The vegetation is at its most striking on this route. It can be descended in one very long day, usually done in two days and one night. If you have more time then choose dramatic Chogoria over Naro Moru for the descent. The Chogoria route passes by tarns, waterfalls, and an incredible gorge. Allow two or three days for your descent. Mount Kenya Climbing Adventures, Mount Kenya Climbing Chogoria Route Itineraries. Time is little used nowadays there is the little forest on this side of the mountain and no facilities, just lots of wide open country. Weather and When to Go Hiking? Mount Kenya is a snow-capped Mountain temperature does vary with the season. Well first things first, although Mount Kenya is on the equator, at an altitude of 4,000m above sea level, it gets freezing at night! You need to be prepared for overnight temperatures well below freezing (a good three or four season sleeping bag is a must). Minus 10 or even minus 20 degrees C are not unheard of at Point Lenana. Otherwise expect plenty of hot overhead sun and rain if you are trekking during the short or long rains. Kenya has two rainy seasons, the long rains from mid-March to mid-June and the short rains from September to October. Mount Kenya remains trekkable throughout the year, but during the long rains especially, you will need to be prepared for some heavy rainfalls and muddy tracks. The good news is that even in the depth of the long rains, there is usually reliable sunshine for a good portion of the day in the mid-morning and afternoon (10 am – 3 pm). Outside the rainy season, you can expect plenty of sunshine. How to get to Mount Kenya. From Nairobi to Mount Kenya is around a three and half hours’ drive. There are well- tarmacked roads all the way to the towns of Naromoru and Nanyuki or Chogoria to the east all at the foot of the mountain, but the last stretch of the road up to the park gates is a rough dirt road that can get almost impassable in the rainy season when a 4wd is essential. How to organize a trekking trip to Climbing Mount Kenya. It is best to make your trekking expedition a great experience through YHA Kenya travel with a team of expert experienced guides with extensive high altitude experience. Each year trekkers die on Mount Kenya attempting to get to Point Lenana; it is easy to get lost in the cloud cover! If you do want to attempt the trek independently you’ll need to get yourself to the park gates by Matatu and taxis. The park authorities do not allow trekkers to enter the park alone, so there will need to be two or more. You’ll need to be prepared to bring all your own gear and provisions. Also, climbing gear is available for hire. The biggest challenge you will find is navigation on the mountain. Paths are not clearly marked and cloud cover is common. If you don’t want to hire camping equipment, then there are huts all the way on the Sirimon route. Organize your trek with a reputable safari organization. Book a trekking package; if you are short on time, this is the best option. YHA-Kenya Travel pre-arranges trekking trips for climbing Mount Kenya and this includes transport to and from Nairobi. At the cheaper end, this will involve your guide meeting you in Nairobi and travel with you on a public minibus (matatu) to the mountain. This saves a lot of money, but be prepared for delays and extra costs once you get to the mountain if it is raining as you’ll be forced to sort out a 4wd to get to the park gates. If you pay a little more than your trek will include the transfer in a private vehicle from Nairobi. Your trek crew and equipment will be ready and wait for you at the mountain and you can head straight up. Pair Mount Kenya climbing with a Wildlife Safari. It would not go well to visit Kenya to climb Mount Kenya and not explore the country a little bit. Most people will want to combine the trek with a Kenya budget wildlife safari. The nearest parks to Mount Kenya are to the North, These parks are the Meru and Samburu. Both are fantastic parks with arid scenery reminiscent of the Lion. There is budget safari camping options as well as the usual luxury safari lodges on offer. You can get to Samburu in a couple of hours from Mount Kenya, and if you are short of time three days is sufficient to get a good taste of Samburu and then get back to Nairobi for your next adventure travel activity. If you have more time then you can journey on by road from Mount Kenya to Masai Mara via the Rift Valley great Lakes. Allow around 6 or more days for this adventure extension. Mount Kenya Trekking, Climbing Mount Kenya, Kilimanjaro Climbing, Hiking Mount Kenya Best Mountain Adventures & Expeditions. YHA-Kenya Travel offers you the opportunity to sample some of the most exciting climbing mount Kenya adventure activities while in Kenya. Some of which are a very excellent range of short-term budget travelers tour package for travelers looking at trekking mount Kenya, climbing Kilimanjaro in Tanzania or walking in and around Mount Kenya. These Climbing Mount Kenya adventure safari itineraries are a guide that may change based on travel group choices, weather, road or political conditions and changes. All Mount Kenya Climbing safari prices and local payments are subject to change. Enjoy our unique and unforgettable climbing Mount Kenya adventure budget safari Experience. Climbing Mount Kenya in Kenya, Mt Kenya Trekking, Hiking Mount Kenya, Mountain Adventure s, Kenya Mountain Safari Tours, Best Budget Packages! Looking for something different in Kenya or Tanzania? Come with us to the Masai Mara, Amboseli, Nakuru and The Great Lakes, Samburu or Take an Adventure Trek Mt Kenya in Nyeri Kenya on the highlands where it's more rural, and the clear air reveals amazing landscapes, small villages, a large number of fascinating ethnic minority groups...and it's quieter. From the Villages in the high mountains near Narumoru to the mountain Forest and steep coffee and tea terraces to the jungles in the south near the flowing Abadere rages scenery that never fail to impress and amaze you. Contact us for itineraries or custom tours see below here. Guide to Mount Kenya Climbing Adventures. Mount Kenya Affordable Adventures Professional Mountain Guides, Best Prices, Best Budget Adventure Safaris Holidays & Great Scenery. Welcome to YHA Kenya Travel Mountain Adventures. We seek to provide you with the best affordable Mountaineering experiences on Mount Kenya climbing, hiking, trekking & walking safaris. Mount Kenya is Africa second highest mountain. Guide to Climbing Mount Kenya. Explore and climb Mount Kenya with experts knowledgeable mountain climbing guiding services in Kenya on your mountain adventure trekking safari holiday while in Kenya or Tanzania. Our budget adventure camping safari packages are well planned and thought of to fit your budget, activities are very exciting and innovative and have a real impact on your life memories. Summer is here it's time to plan an adventure holiday! May be an escape to the beautiful places in Kenya like Mount Kenya Climbing, Trekking adventures, The Masai Mara and the Great Lakes in Rift Valley or even to the beautiful Kenyan beaches? Whatever your desired adventure destination, our expert team of tour advisors would love to book it for you! We love receiving 'Likes' and Feedback reviews on our Facebook page, Trip advisor or on other travel portals. Take a look and tell us what you think! Are you thinking about travelling to Kenya or Tanzania this summer holiday? Ask yourself this simple question-- If not now, then when? YHA-Kenya Travel has been in existence since 2010 a leading adventure travel specialist and tour operator in Kenya. Providing travellers with Kenya Mount Kenya Adventures of exceptionally high standards and levels of knowledge professionalism and expertise in planning Kenya holidays both budget and luxury safari holidays in East Africa, Our safaris are an all-inclusive package deals for Kenya and Tanzania budget safaris and are offered with expertise, honesty, professionalism which is always practiced and well maintained. YHA Kenya Travel, Kenya Adventure Budget Camping Safaris. YHA Kenya Travel, Kenya Adventure Safaris, Kenya Budget Safaris, Kenya Camping Safaris, Mountain Adventures, Small Group Safaris, Kenya Short Safari Excursions. YHA KENYA TRAVEL TOURS & SAFARIS . One stop Shop to Discover Kenya Budget, Adventure, Camping, Volunteer, Travel Activities, Tours & Safaris. Find exclusive and affordable safari offers if you want to see the undiscovered beauty and hospitality of Kenya best price guaranteed. 2 Days 1 Night Masai Mara Kenya Adventure Safaris. 3 Days 2 Nights Masai Mara Kenya Adventure Safaris. 4 Days 3 Nights Kenya Adventure Safaris Maasai Mara. 3 Days 2 Nights Amboseli Kenya Adventure Safaris. 3 Days 2 Nights Samburu Kenya Adventure Safaris. 3 Nights 4 Days Samburu Game Lodge Kenya Adventure Safaris. 4 Days 3 Nights Masai Mara/Nakuru Kenya Adventure Safaris. 5 Days 4 Nights Masai Mara / Nakuru Kenya Adventure Safaris. 7 Nights 8 Days Masai Mara/ Lake Nakuru / Amboseli /Tsavo West & Tsavo East Kenya Adventure Safaris. 11 Days Masai Mara / Lake Nakuru / Samburu / Mount Kenya / Amboseli / Tsavo West / Tsavo East / Kenya Adventure Safaris. 12 Days Masai Mara / Lake Nakuru / Samburu / Mount Kenya / Tsavo West / Tsavo East / Kenya Adventure Safaris. YHA-Kenya Travel Tours & Safaris Background. YHA-Kenya Travel has been in existence since 2010 a leading Kenya Adventure Safari travel specialist and a reputable tour operator in Kenya. Providing exceptionally high levels of knowledge professionalism and expertise in promoting Kenya Adventure budget tourism services in Kenya and Tanzania. We do planning for Kenya adventure budget safaris and luxury safari holidays in East Africa, Our all-inclusive safari packages from selected deals for Kenya and Tanzania are offered with expertise, honesty, professionalism which is always practiced and well maintained. We focus on what we do. How well we go about doing it and our high-level discipline. With our team of able travel experts and professionals. Everyone in our team has lived, worked and traveled extensively. To East African, major tourist destinations and have all grown to love it with passion. We have launched an Adventure budget safari holiday package for guided small group adventures. Within Kenya and Tanzania where our level of expertise and service is already strong. This style of small group safari adventure travel within areas that we are so well versed with has proven as an exciting and successful venture. We commit to high-level service and to guarantee high-level protection. Make your Kenyan budget adventure camping safari holiday unforgettable experience by booking an adventure trip, with YHA Kenya travel we have a range of budget adventure safari tour holidays. We pride ourselves the best expert guide for Kenya budget adventure camping safari holidays including information on where and when to go, what to pack, safety and recommended adventure safari tour fitting in your safari budget. There is a wide choice of Kenya budget adventure camping safari travel holidays. With a well-selected travel activity programs in Kenya. YHA-Kenya Travel Tours & Safaris is a travel company that is serious. About organizing amazing adventure safaris budget and luxury safari holidays package which suit all travelers young and old. We’re here to help you experience it. We take a personal interest in planning your ideal vacation Kenya adventure safari holiday. We are committed to ensuring that the safari budget adventure holiday trip we custom craft for you leaves untouched memories in your lifetime. Taking into account your entire group, family or as an independent solo adventure traveler.  Do you want to transform your travel dreams? Into exciting adventure holidays but don’t know where to start?  Have you spent hours searching the web? for budget travel options in Kenya yet still feel confused?  Do you long for a unique Kenya budget adventure holiday safari? To unite your family in a phenomenal shared experience?  Do you want someone you can trust, To plan your Kenya budget holiday trip in the style and value you expect?  Do you want a peace of mind, security, and comfort throughout your trip? knowing that someone is on call for any issues that may arise? We at YHA-Kenya Travel create extraordinary, unique adventure safari experiences for the core and multi-generational family travel. for fathers and sons who want to bond, or “just for the girls”, as well as for wider family reunions. After all, your budget safari holidays adventure is our commitment at a pocket-friendly deal! Through our extensive network of local and international tour operators, coordinators and private guides. all contributing to native conservation efforts. we design journeys of every kind so that we can take our part in promoting responsible travel in Kenya. and make the world a better place for all. You know your neighbors, friends, work colleagues. Or just the ones who’ve just returned from their family vacation full of energy. and smiles? They can’t stop oohing and aahing. about their adventure experiences about that African Kenya adventure budget camping safari. how they biked, rode in the balloon over the Mara plains. trekked, hiked, danced, ate, fishing and sailed at lakes Naivasha and Victoria. The kids just loved it! You’re happy for them and just a bit jealous. Immediately you start searching the web for active vacations. Well, this is our answer to the question why travel with us it’s not just the in-depth planning. The meticulous organization, the extraordinary journey, or the experience. 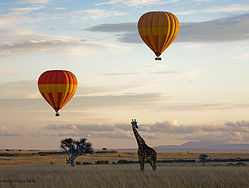 of adventure hiking, riding hot air balloon adventure flight in Masai Mara, biking, and sailing. It’s not just the incredible budget safari adventures. or the remarkable surprises it’s all this’s for the feeling you’re left with. the energy you take home with you. The exhilaration, the enlightenment. Then how can you afford to miss all this!!!! Book your next budget adventure Kenya safari holiday with us and make your experience and impact to this world a little better than we found it. The best destinations for an African adventure safari holidays is within the confines of Kenya and Tanzania. A Kenya budget adventure safari will offer you an amazing diversity and superb Kenya wildlife viewing safari trip. Uganda is a good location too known for the scenery and rich wildlife in natural surroundings. The Gorilla Tracking Safari as the highlight. We serve our clients from all over the world. This includes countries like UK, USA, Europe, Africa, Middle, East, Oceania, and Asia. We will help you with good advice on how to plan a budget-friendly adventure safari holiday but the high-quality journey of unforgettable experiences nothing beats YHA Kenya travel and let us inspire you with photos from Kenya great scenic views and wildlife.Travel with Professionals who mind about your comfort, safety, budget, and welfare. Other products and services including hotels, lodges, camps, Ballon flight safaris, beach holidays, responsible tourism holidays, cultural safaris, walking safaris, sight seeing products among many others. We endeavor to provide you with outstanding customer service and satisfactory services through continuous innovations, development, and investment in our staff systems and technology. Walking Safari Holidays in Kenya. Kenya offers a wide choice of reliably excellent budget walking safaris.Leisurely strolls or more challenging treks in Kenya. Government strict rules have guaranteed consistently high standards of walking safaris in Kenya. The great rich wildlife and high-quality tented camps run by experienced and local bush enthusiasts make Kenya walking safaris among the best adventure activity in the region making Kenya budget safaris a taste for many travelers. Kenya Short Safaris, short Safari, Short Camping Safaris, small group safaris, short budget safaris, short adventure safaris, YHA Kenya Travel. 2 Days 1 Night Amboseli Kenya Short Adventure Budget Camping Safaris. 2 Days 1 Night Kenya Short Safari Budget Adventure Camping Masai Mara. 2 Nights 3 Days Amboseli KenyaShort Adventure Budget Camping Safari. 2 Nights 3 Days Samburu Kenya Short Adventure Budget Camping Safari. Ol Pejeta Wildlife Conservancy Laikipia Day Short Safari Trip from Nairobi. Nairobi National Park Half-Day Skort Safari Tour. Private Hiking Day Short Safari Trip to Mt. Longonot from Nairobi. 3 Nights 4 Days Masai Mara Kenya Short Adventure Budget Camping Safari.